Hundreds of thousands of drivers are likely to have been illegally penalised for overstaying their welcome whilst parking on private land. The motorists could be entitled to repayments totalling many tens of millions of pounds. A legal opinion for the RAC Foundation suggests that parking companies are levying huge charges on drivers out of all proportion to the losses suffered by landowners as a result of motorists’ actions. However in his paper for the RAC Foundation John de Waal QC, a barrister at Hardwicke, argues that this is likely to be several times more than compensation for a genuine loss. So it would not be enforceable by the courts. If the courts agree with Mr de Waal that many of the tickets issued are “extravagant and unconscionable”, drivers are potentially in line to receive tens, if not hundreds, of millions of pounds in refunds. Mr de Waal also argues that European consumer legislation which requires contracts to be fair means so-called ‘early payment discounts’, which are often used to put pressure on the public to pay up quickly, or face a higher charge, are in fact unlawful because they constitute a ‘price escalation clause’. He also says that when signs are not clear or prominently displayed, the charge can also be challenged on the grounds of unfairness. In 2013 private parking companies made 2.2 million requests to the Driver and Vehicle Licensing Agency (DVLA) for registered vehicle keeper details. 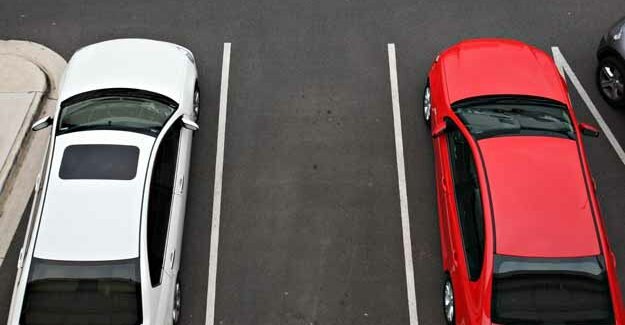 The British Parking Association and the Independent Parking Committee (accredited trade associations for the private parking industry) recommend that their members do not issue tickets of more than £100 against those drivers who stay longer than they have agreed to when they first park, or do not adhere to other conditions. “We would like to see this legal argument tested in a higher court so that a binding precedent is set. At the same time we would like the government to do what it should have done at the outset and set out what are reasonable charges. “If the Courts agree with Mr de Waal then millions of drivers could be in line for a refund. We estimate that in 2013 alone drivers might have been overcharged by some £100 million. “Some parking operators have a business model which means they only make a profit if members of the public overstay and can be charged an excessive penalty. We think this model, which invites zealous enforcement, is unfair and not fully understood by the public. In 2014, Màire, a young mother from High Wycombe, got in touch with the RAC Foundation. She had recently visited a recreational area in the centre of town with her two young children aged seven months and three years. When the time came to leave the swings and return to the car park, the three-year old became upset and Màire needed time to attend to him and to get him back into the car. A few days later Màire had to pay the price for attending to her young son. She received a parking charge notice through the post from Civil Enforcement Limited for £100. She appealed to the parking operator explaining the circumstances of her delayed departure from the car park. She was told that her reasons were not grounds to cancel the charge and that she must pay. Màire considered appealing to POPLA but had lost confidence and doubted her chances of success. Within the time she had left to settle at the reduced amount she could not raise £60 and in the end paid the full amount of £100. The cost of the car park had been 20p per hour.